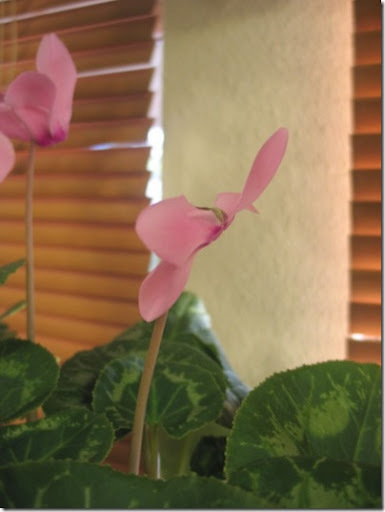 One of my favorite flowers is the Cyclamen. 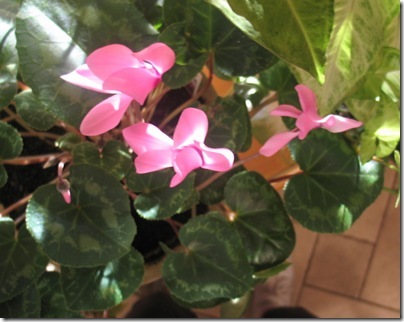 It is a beautiful plant that blooms in December and January. Mine are pink. They also come in reds and whites. The blooms have always intrigued me. They have an interesting way of unfolding. They emerge from the center of the plant on a long stem with the petals tightly wound. As they slowly unfurl the petals will spread much like a daisy. And the final stage of the bloom find the petals folded back on themselves and standing upright. Looking down on the top of a bloom reminds me of a pinwheel. A grouping of them in the breakfast room makes a fine mid-winter display. 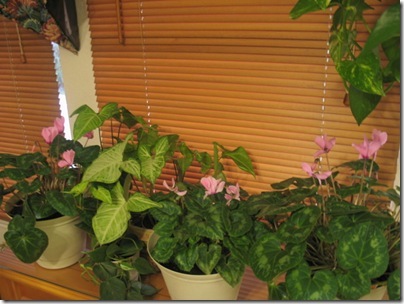 My mother used to grow the cyclamen plants. Their flowers are really pretty and I can remember as a child waiting for the blooms to open.thanks for your comment on my blog. You are a no reply-comment because you don't have your email enabled. If you want to do it go to Edit Profile and put a check mark in front of Show my email address and then scroll to the bottom and click on SAVE. then when you leave a comment the person can email you back. Oh what a glorious series of photos! 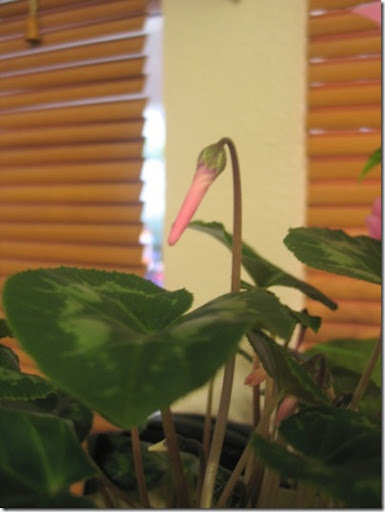 Your cyclamens plant is a beauty and what interesting buds so tightly furled. thank you for taking the time to share these – I sure enjoyed them. very pretty! 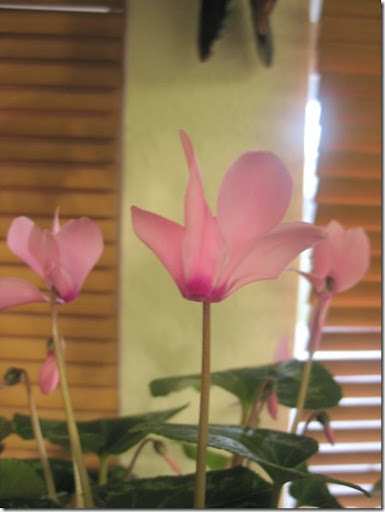 I've never had much luck with cyclamens — might have to try them again!